How can we help our children become academically accomplished? Parents want to do what is best for their children, but don’t always know how they can help. According to a Northwestern University 2007 study of 35,000 preschoolers in the United States, Canada and England, when controlling for IQ, family income, gender, temperament, type of previous educational experience, and whether children came from single or two parent families, the study found that the mastery of early math concepts on school entry was the very strongest predictor of future academic success. “Mastery of early math skills predicts not only future math achievement, it also predicts future reading achievement,” Greg Duncan, author of the study, said. “And it does so just as reliably as early literacy mastery of vocabulary, letters and phonetics predicts later reading success. The opposite, reading skills predicting math success, does not hold up.” However, in early learning environments, most of the time and attention are focused upon early language and literacy skills. According to Jennifer McCray of the Erikson Institute, for every 100 early childhood classrooms in session on a day, 96% would engage in language and literacy activities that day, 30% would engage in some form of art or music, but only 21% would engage in any math activities. Early childhood settings are not engaging in mathematics in even the most cursory manner.These are the findings for formal child care settings and preschools. Children that stay at home, stay with relatives or are in home child care settings, are most likely receiving even fewer opportunities to explore mathematical concepts. Parents and educators are encouraged to provide early literacy and language activities such as reading to children, teaching the left to right convention, singing the alphabet song, pointing out letters and words, sounding out letter phonics and words, correcting misconceptions and errors. Yet when similar mathematical concept activities are provided, it is often looked at as not developmentally appropriate or necessary. Mathematical literacy is not just as important as reading literacy, it has been proven to be even more so. Just as reading literacy should be introduced from birth with reading and language activities, mathematical concepts should be introduced early and often as well. The reality is that we do math every day at every age in multiple ways. We graph, sort, compare and contrast, group, measure, count in context, do 1-1 correspondence, quantify, pattern, study geometry, and the list goes on. It is all done through hands-on, playful activities. So if you have the care of a young child and are not currently doing activities that enhance math concepts, I strongly urge you to do so. All it takes is looking for fun, preferably hands-on or movement-based opportunities. Count blocks, toys, the number of flowers on a page in a book, using the child’s finger, or toe, or elbow to touch each one as the number is said. Pattern cars, blocks, rocks, Fruit Loops. Line up the teddy bears or dollies from smallest to biggest and the other direction. Measure how long some things are in the number of your hand prints and the child’s and compare the two. Discuss amount concepts such as more/less, greater/fewer, a little/a lot, taller/shorter, bigger/smaller. Discuss time concepts such as morning, night, later, after, before, when. Discuss ordinal count concepts such as the third dolly in line is wearing a pink dress, you go first and I’ll go second. Point out numbers in the environment such as price signs and license plate numbers. Count stair steps and anything else that can be felt through movement or touch. Introduce a ruler, tape measure, pound scale, balance scale, yardstick, measuring cups, etc. as tools to measure. Discuss prices and money. Don’t just say it costs too much, say it costs $5.46 and I don’t have enough money for that. Discuss shapes in the environment, and not just circles and squares. 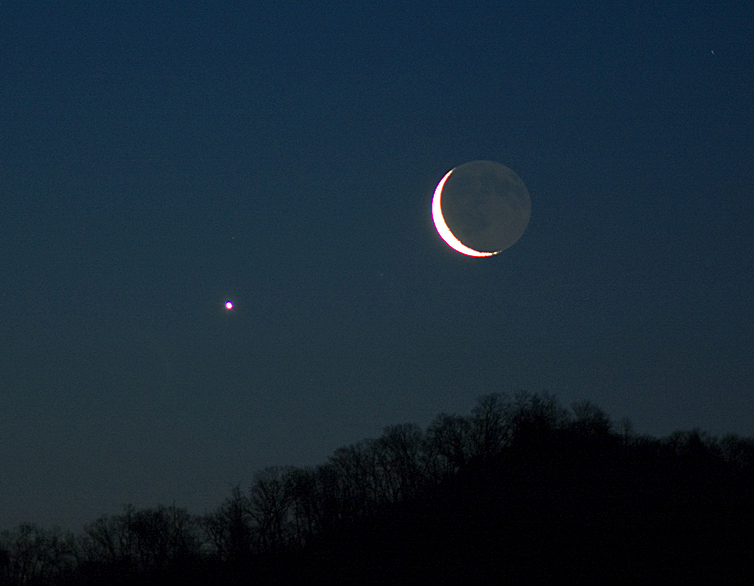 A sliver of moon is a crescent, an oat container is a cylinder, a ball is a sphere. “Do you want 1 or 2 cookies?” Hold up both quantities so the child can grasp the significance. Believe me. An 18 month old can figure out which is better. One plus two! Just as a child will not immediately be able to read from being read to, a child will not immediately be able to do math from being introduced to math concepts. But similarly, it sets the stage for scaffolding knowledge. It builds a repository of information for them to access as they encounter relevant situations and opportunities to test and manipulate that information. Since so little attention has been paid to mathematics as an early introduction subject, it will be interesting to see what children can accomplish if it is given the same time and attention as early literacy. I know my students far exceed my expectations of what they should be capable of understanding. With earlier attention to this important aspect of children’s education, maybe the science, technology, engineering and mathematics initiatives will begin to have even greater success in luring students into these fascinating and needed fields. Connie Orman is the creator of Little Stars Learning.